Built 1912-1920 by José Marques da Silva, replacing a previous theatre building (built 1798 by Vicente Mazzoneschi, destroyed by a fire on 11/12 April 1908). Opened 7 March 1920. 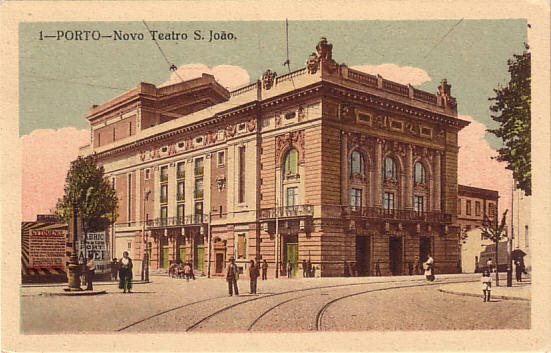 Front Text: "Porto - Novo Teatro S. João"